This blog is a repost from September of 2016. 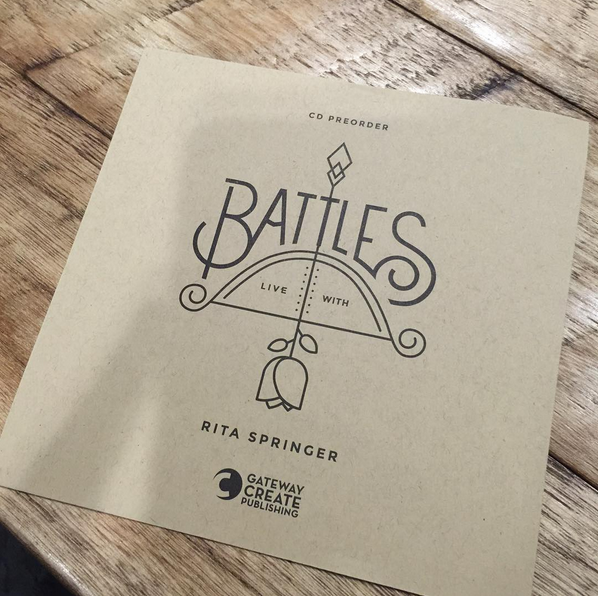 Since it’s original publishing, Rita Springer has released her 10th album called Battles. If you find yourself in a fight for your life - then use this worship album as a weapon against discouragement and fear. As you worship, you will be revived, empowered and deeply encouraged to fight with power. Read on to learn a little more about the feature track called Every Battle. Rita Springer is my friend. I can hardly believe it. That's why I wrote it out. For years, her worship has impacted my life. One time I worshiped among hundreds under her anointing. I was transformed. From then on, when I worship with her, I imagine I'm resting under her key board and I can feel the presence of God the way that she does. She knows how to love, how to endure, how to worship and how to fight. Recently, she stepped into my fight with cancer in a very personal way. Every Battle is a new song of victory, recently released on a Gateway Create project called Voices. 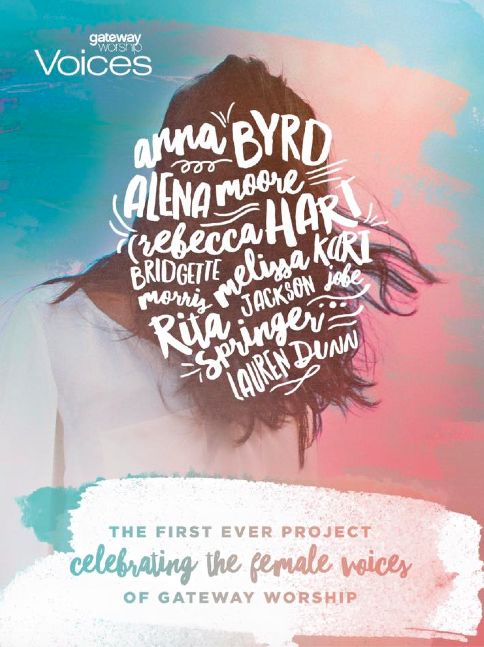 This is the first ever project celebrating the female voices of Gateway Worship and can be purchased at any Gateway Church bookstore or online by clicking here. Every Battle was partly inspired by her compassion for my fight. 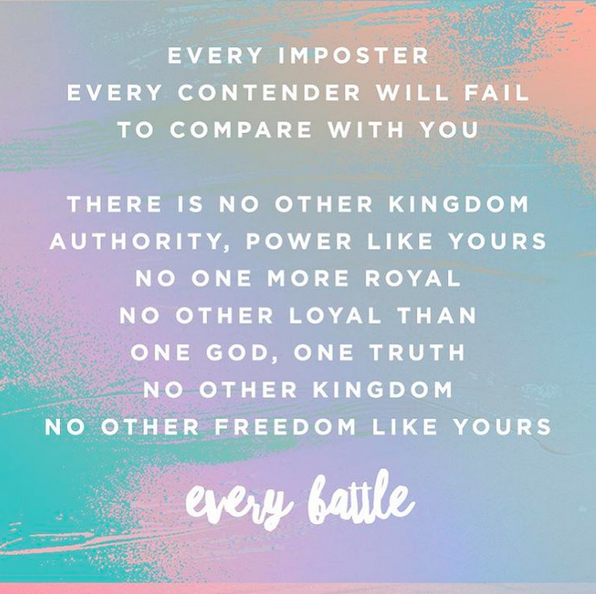 She and her fellow worship leader from Bethel Music, Kalley Helligenthal, partnered together to write one of the most beautiful and powerful anthems I've ever heard. Here is the official lyric video and full audio recording for your own private worship. In addition, the story of Every Battle was recently featured in Gateway Life Magazine. Here is the feature by Katie Smith. This past week, she did a live recording for a new project. The Project is called Battles. If you missed it, watch this live video clip of Every Battle from a recording made by our mutual friend, Mary Beth Miller. This is how she ended the evening...and what she had to say about it. This is how I want to worship. This is how I want to war. This is how I want to surrender. This is how I want to overcome. To all my friends who face a battle - I offer my friend and her gifts to you. God through her will lift us up. Every battle belongs to the Lord.